Martin Luther King Jr. is of one of the most influential American leaders of all time who changed the entire landscape of the country. A Baptist minister, Dr. King became an activist and the most prominent leader of the civil rights movement. He is celebrated in particular for the immense progress he achieved for the African American civil rights movement in the United States, through nonviolent tactics borrowed from the activism of Mahatma Gandhi. Dr. King’s teachings, and the way he lived his life, are so powerful because they are evidence that you absolutely can transform dreams into reality, even in the face of adversity. Through the principles of nonviolence, he worked tirelessly to peacefully create a world we can all harmoniously live in. And the truth is, we are all able to embody nonviolent ways of transforming our lives, our families, our workplaces, and the world at large. 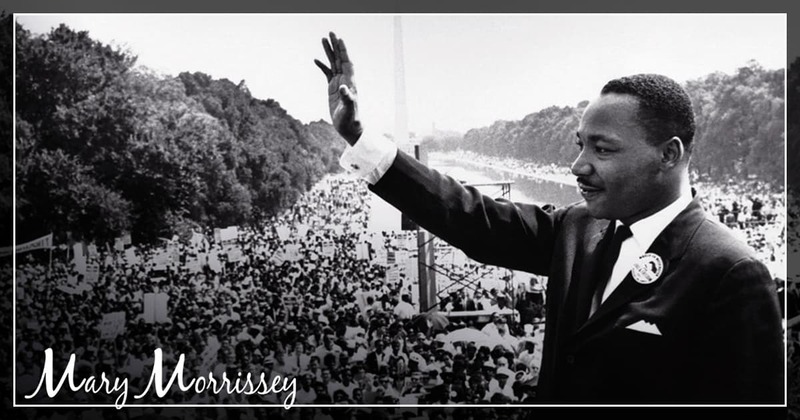 Here are four powerful lessons we can borrow from Dr. King that can help us to dream big, persevere no matter what, and lead a life of love and compassion. In his well-known “I have a dream” speech delivered in 1963 at the March on Washington for Jobs and Freedom, Dr. King drives home the importance of generating enormous energy around our biggest, most important dreams. Dr. King dreamt of racial equality during a time of immense inequity and racial oppression – a dream that for most people, felt absolutely impossible. And yet he created a vision for a better world and unwaveringly committed to that vision. Notice that Dr. King was able to take the very real suffering that he and so many others’ faced as a result of racist discrimination, and use this suffering as a vehicle for profound global transformation. He was able to accomplish this is because he recognized that there’s a power within each one of us that’s far greater than any circumstance, condition or situation we will ever find ourselves in, no matter how seemingly insurmountable! And, at the heart of this lesson from Martin Luther King Jr. is the message to build dreams in service of the greater good for all. Dr. King’s dream wasn’t just for himself, it was for his children, for future generations, for the wellbeing of an entire nation. The more our dreams give to the world, the more likely they are to manifest. You don’t get to not create results. You don’t get to not grow. A year from now, there will be results in your life, just from your being alive and breathing. The question is, will they be results you love? The amazing thing is that you get to choose what results you want to create – and you do this by setting goals, however small at first, and then sticking to them and ongoingly moving toward them. Like Dr. Martin Luther King Jr. did, I encourage you to move in the direction of your dream no matter what. As we all know, there are any number of hurdles and setbacks we can encounter when pursuing our dreams. Perhaps others in your life don’t believe in your vision yet. Perhaps you feel that you don’t have the necessary resources, financial or otherwise. This said, we can still accomplish amazing feats when we persevere even when we hit setbacks, even when our dreams seem far away, and even when we experience deep doubt and fear. Dr. King helped revolutionize the very fabric of our country simply by not giving up, and you can manifest your dream this way too! There are some universal truths that cannot be denied, even when the country is divided, even when people may disagree on a multitude of subjects. One of these truths is that we are all spiritual beings experiencing a human existence – and the energy that breathes us, that gives us this thing called life, gives us all life. Because of this, we are all deserving of love, and we are all deserving of the opportunity to really thrive in life and to pursue our greatest dreams. This is a fundamental truth that deserves to be stood up for, to be spoken out loud and have the volume turned up on, even in the face of dissenting opinions and social conflict. Dr. King didn’t preach personal opinions, he used the power of his voice to amplify the truth of fundamental human rights, even when those rights were severely threatened and challenged. When we stand up for what we know to be true and right, we do our part in creating a more equitable and harmonious world. When faced with interpersonal conflict, it can be easy to give energy to accusations and blaming. Most of us intentionally or unintentionally keep score cards on who we feel may have wronged us or the people we care about. But in reality, doing this creates separation and discord. And deep down, that’s not what any of us actually want. Perhaps one of the most beautiful of all the lessons we can learn from Martin Luther King Jr. is that of nonviolent confrontation – of meeting stress, adversity, and even hate, with love. Dr. King was so committed to peacefully healing societal violence that he adopted Mahatma Gandhi as a mentor. He interviewed anyone he could who had known Gandhi for wisdom on his teachings. He even went as far as flying to India (and becoming the first American) to do a three-day private, silent retreat in the meditation hut where Gandhi had prayed before he launched the Salt March. It was during this time in India that Dr. King learned about a special kind of power Gandhi talked about – a power that is greater than violence and that liberates us from trying to fight evil with evil. As a devout Christian, Dr. King became fascinated with these concepts and brought them back to the United States, believing that one power and one presence generates this type of power in all of us. So in line with other great leaders like His Holiness the Dalai Lama who chose to relinquish bitterness and resentment, Dr. King adopted a nonviolent method of leadership. And now you and I are inheritors of Dr. Martin Luther King’s extraordinary teachings, and we can choose to engage this nonviolent power as a means to communicate and effect change peacefully! As you consider the incredible life and contribution of Dr. Martin Luther King, who was able to effect change of such magnitude that we still feel his impact, remember that you too can unwaveringly pursue your dreams. You have the power within you to create a life you truly love living, change the lives of others, and even transform the entire world if you choose. And you can do this while following a path of peace and love that will lead to truly extraordinary results. Now, are you ready to pursue your dreams and create a life you truly love living? Here’s my FREE gift to get you started! 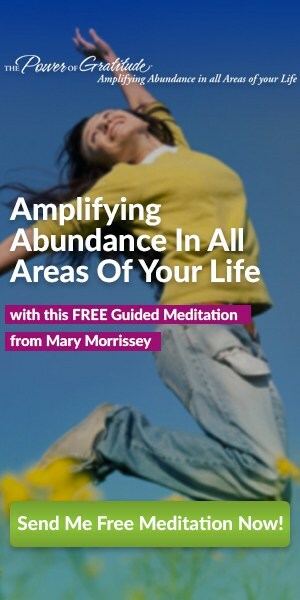 If you dream of a life that’s fuller, freer and more inspiring, I’d love to share with you how to direct your thoughts to empower you, instead of pulling you back to your old way of life. And it’s so much easier than you might imagine! How your thoughts actually predict the course of your life and limit your ability to go after your dreams, and how you can shift your thoughts away from doubt and toward success! 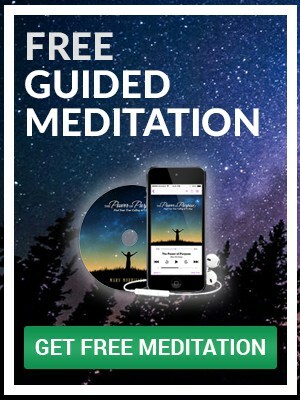 Three simple but extremely effective mental strategies for overcoming doubt, fear and excuses – so that you can transform your dreams into reality with unprecedented ease and speed! To download your free copy of Stronger Than Circumstances, click here now. Mary Kay Ash was our mentor and she so inspired me with her stories of how God was moving in her life and helped her build the company that she so loved and gave to the world. You inspire me Mary Morrissey! Your quote from your book Building Your Field Of Dreams was life changing. You said: “All the while you think you’re building your dream, your dream is really building you.” That comment carried me through some of the most difficult times of my life. Loved your video! 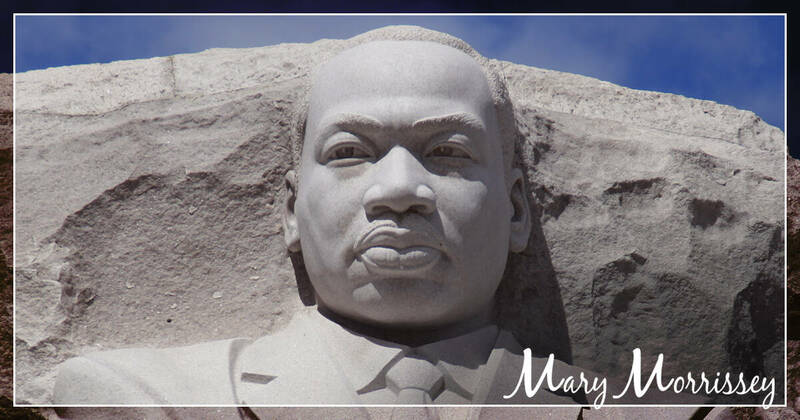 I feel blessed to share my birthday with Martin Luther King Jr. For I too have a DREAM and am so very grateful to be a part of your wonderful community of Life Mastery Consultants, being a part of such powerful work in the world! I decided early this morning to start working at changing the outcome of many things in my life. Dr. King pointed out the many injustices of being an African American. Sadly those still exist, but as you remind us that Dr. King want us to be patient. Set goals, stick to them, and don’t give up. Honor Dr. King’s bravery and resilience. In so doing, we do our part in not only changing things for ourselves, but also for others. My son too motivates and inspires me everday. Thank you so much for this reminder and sharing of powerful stories Mary! Martin Luther King, Gandhi and Nelson Mandela are shining beacons, that show us that POWER and PEACE are possible to combine!! Yes, it takes tremendous courage and perseverance in standing up for what is right,as well as finding the strength to forgive what seems unforgivable – but it is possible – we only forget sometimes! Thank you!! Thank you Mary for this beautiful message today, it has truly inspired me and reminded me to reflect and be thankful. I always remember the quote by Dr. Chopra Ego means existing God out. Really when ego comes in picture you are not yourself. Body mind and soul are not together. My favorite is Abraham Lincoln and his quote about “a house divided can not stand”. I believe that goes for all areas of our lives. What we need is the “let there be peace on earth and let it begin with ME” mind set. Let’s do it World. ?????? I love all his words and thiese quotes are inspiring to me. It’s all from his love for humanity. Thank you for keeping his dream alive: #IamVoice! Because he gave me opportunity to be the voice for the forgotten Burundians Refugees in East Africa . I did not understand then, how important it is to have a dream and then to pursue that dream ! I am inspired by Mary Morrissey. Every day I try to listen to her words and thoughts and put them into practice as best I can. Little by little, baby step by baby step, I’m changing and moving toward the self I long to be and the life I’d –not just like which is all I thought I deserved) –but the LIFE I”D LOVE. So THANK YOU MARY ! Read this in Success magazine when I was in my early thirties. Arrival said if said every day for 30 days would change your life. I am now 66 years old and have never stopped believing in this. Thank you for letting me share. Jesus is my greatest inspiration living a life that inspire others to love like he love, unconditionally. My husband inspires me as he lead by example in our household doing his best and being a man of his word and motivating me to live life in the today. My mom, someone who perseveres no matter what and always never stop doing for others, giving of herself and than giving some more. Why bother when I feel harassed by ppl around me and laughter at. It isn’t worth trying when no one except you and you are always doing everything wrong. I except that I won’t make any decisions correctly and will always be harrassed by others.